The National Institute of Safety and Health (NIOSH) and the Occupational Safety and Health Administration (OSHA), have specific regulations in place that detail the requirements for respiratory protection safety compliance. In addition to adhering to government regulation requirements, employers are also required to follow all general workplace regulations, as well as those that apply to exposure in a certain industry. Examples include ammonia, asbestos, lead, and silica dust. A written plan, explaining how the program will be carried out. In the workplace, a complete assessment and knowledge of respiratory hazards must be visible. Equipment and procedures to control potential respiratory hazards, such as the use of practices intended to reduce or eliminate employee exposure to hazards, as well as the use of engineering controls. Plans for the selection of proper respiratory protective equipment. Routine inspection, repair, and the maintenance of respiratory protective equipment. 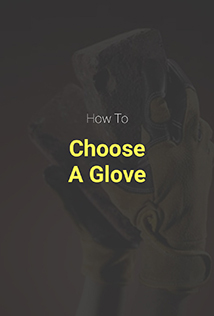 An employee training program that details hazard recognition and the associated dangers, as well as proper care of and use of respiratory protective equipment, such as respirators. FIT testing should be completed before the first use, anytime a different face piece is used, and annually at a minimum. A medical evaluation performed by a licensed professional to verify an employee’s ability to use a respirator. In addition, OSHA requires that medical evaluation records are retained. Before initiating a respiratory protection program, you must have a complete understanding of your industry’s specific respiratory hazards before hand. The respiratory system offers the most direct and quickest entry point, due to its close relationship with the circulatory system and the ongoing need to sustain life by oxygenating tissue cells. Respirators vary in application, design, and protective capabilities. NIOSH federal respiratory regulations 42 CFR Part 84, lists approved respirators for use according to industry. In order to select the appropriate respirator, you must know what level of respiratory protection an employee needs, as well as what size fits his or her face and facial contours. Before selecting a respirator, the user must know the type of inhalation hazards they may be subjected to. There are two classifications of respirators - air-purifying and air-supplied. Air-supplied devices: Consisting of air-line devices and Self-Contained Breathing Apparatuses (SCBA), air-supplied devices use a primary air source to deliver respirable air to the facepiece at a steady flow. APRs vary from one-time use simple cup masks, to low-maintenance ½-mask facepieces with filters or cartridges to the most complex PAPRs with hoods or full facepieces. Filters are used to capture dusts, fumes, and mists, but filters offer no protection from gases or vapors. As particles accumulate on the filter, they plug the space between the filters and make them less effective. When it becomes difficult for a user to breath, the filter should be replaced. Vapor and gas APRs use chemical canisters or cartridges to eradicate hazardous vapors or gases from the air. However, they offer no protection from airborne particles. Provided the cartridge’s absorbing capacity is not exhausted, they will continue to provide protection against specific vapors or gases. Combination APRs which contain both particulate filters and vapor/ gas cartridges, are used in any environment that contains both particulate and gas hazards. PAPRs use a battery-offered blower to provide a filtered airflow continuously. They include a canister/ filter/ cartridge type assembly, hood or helmet, breathing tube, and a facepiece. 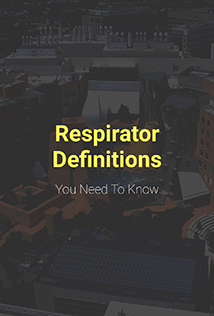 SARs include air-line respirators, SCBA, and combination respirators (supplied-air). Used for long periods of time in non-IDHL atmospheres, air-line respirators use a hose (air-line) to provide clean air for breathing from a stationary source of compressed for an extended time period. Despite being a relatively low weight, they can inhibit a user's’ mobility. Self-contained breathing apparatus (SCBA) feature an open-circuit design, that delivers air for 30-60 minutes. 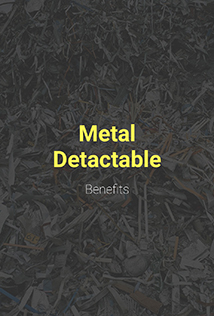 They are used for short work shifts (30-60 minutes), and for entry to or escape from environments that are or may be IDLH and consist of a tight-fitting facepiece and a wearable, clean-air supply. A type of air-line device, combination SARs are used when working for a long period of time in an environment that is, or may be IDLH. If the primary air supply fails, an auxiliary self-contained air cylinder is used. In addition, the air cylinder can be used to enter or exit IDLH environments, such as a confined space. Employers must provide employers using SARs, with breathing gases of high purity, while also ensuring that compressed oxygen, compressed air, liquid oxygen, and liquid air being used for respiration are in accordance with OSHA standards specified in 1910.134(i). Regardless of where an inspection takes place, such as in a paint shop examining coatings or in a rail car, it is crucial that you are wearing the proper respiratory protection.